New Hope For GC Football? 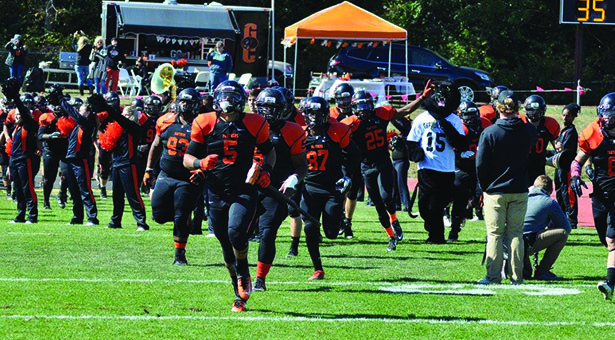 The Greenville College Football team recently entered the offseason after a season that was not up to par for Greenville standards. The Panthers finished with a disappointing record of 3-7 in the Upper Midwest Athletic Conference (UMAC), after competing for the conference title the previous three seasons. We caught up with GC’s offensive coordinator, Joshua Flannery, who just completed his second season with the Panthers. Flannery is very optimistic that Greenville is headed in the right direction. Flannery had the GC offense standing alone at the top of the UMAC’s total offense statistics, averaging 418.0 yards per game. The Panthers also led the UMAC in total rushing yards and ranked sixth in passing yards. Judging by stats, GC will be in good shape on the offensive side of the football in the coming year. Listen to the podcast below to hear more from Flannery and how he plans to help Greenville continue to turn the corner. Next articleWhat is the Blackroom?